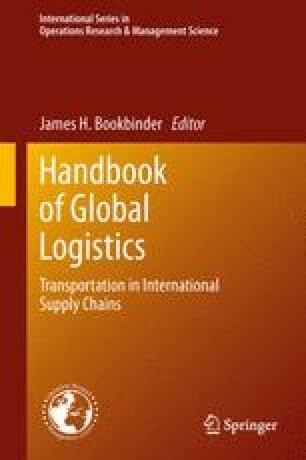 This chapter examines the Asian, European, North American and Middle East air freight networks of combination passenger and freight and all-freight carriers using air freight capacity datasets for the period 1999–2009. The chapter begins by reviewing some of the key trends that have shaped and characterized air freight markets during the 1990 and 2000s. The impact of air transport market liberalization is identified as a key determinant of changing carrier behavior, particularly in relation to network structure organization. The second major section of the chapter examines the sources of data available for tracking trends in the air freight sector. The lack of comprehensive datasets detailing the activities of the integrated carriers is discussed. Using the Official Airline Guide (OAG) historical databases that list ex-post carrier schedules for each year globally, annual data series indicating freight capacity of all Asian, European and North American and selected Middle Eastern carriers are determined and the general trends are described. The US T-100 Database is used to derive an equivalent distribution for the two largest integrated carriers, FedEx and UPS. The changing nature of industry organization is discussed and the key players in each region are distinguished. For the combination carriers, passenger and freight network structures are compared for the period 1999–2009. The fortunes of the key air freight hubs are reviewed over the same period. The chapter concludes with a discussion about the key driving factors in dictating the future direction of the industry in the coming decade. Consolidation in the airline industry and the role of the integrated carriers receive particular consideration. Funding for this research was provided by the UCD School of Economics and Irish Research Council for the Humanities and Social Sciences (IRCHSS). Thanks to Dr Kieran Feighan for very helpful and insightful comments on earlier versions of this chapter.